Process design, detailed engineering, scale-up engineering, and trouble-shooting for chemical and process plants. Manufacturers of chemicals and systems for environment compatible pulp bleaching processes and chemicals systems for paper making. Also market chemicals for certain industrial applications as well as engineering, process plants and equipment. Germany. Diversified company, active in chemicals, testing instruments, pre-owned machinery and engineering services. Specialty chemicals and auxiliaries for the man-made fiber industry. Manufacturer of chemicals and intermediates, specialty polymers and engineering plastics, functional materials, electronic materials, and admer adhesive resin. Germany. Multi-national manufacturers of chemicals and intermediates, engineering plastics and performance rubber. Processing chemicals for the man-made fiber, textile, nonwovens, papermaking and leather industries. Part of Bayer AG. English and German. Manufacturer of specialty industrial chemicals, oil field chemicals and a variety of specialty chemicals. UK. Multi-national chemicals manufacturers. Polytrimethylene terephthalate (PTT) fibers, mono-filaments and yarns for carpeting, textiles and nonwovens, thermoplastic engineering, and industrial films. Product data sheets. Technical literature on PDF files. Detailed FAQs about products and HSE issues. Part of the Royal Dutch/Shell Group. UK. Diversified trading, engineering and manufacturing company, active in food products, paper, tin mill products, flexible packaging and chemicals. Chemicals and pigments for the food, paper, textile, detergents and plastics industries. Manufacturer and exporter of fine and specialty chemicals, aroma chemicals and chromatographic adsorbents. Produces antimony chemicals, lithium chemicals, and other industrial chemicals. Manufacturers of fine and speciality chemicals, aroma chemicals and chromatographic adsorbents. Manufacturer and supplier of dyes and pigments, pharmaceutical intermediates, agricultural chemicals and industrial Chemicals. Importer and exporter of inorganic chemicals, organic chemicals, agrochemicals, pharmaceuticals, food additives, and dyestuff. Manufacturer of water treatment chemicals and sugar processing chemicals. Site has case study examples and employment information. Manufacture plastic additives for processing and manufacturing of UV cure chemicals and polysulphide chemicals for the aerospace, marine and construction industries. Exporter of fine chemicals, speciality chemicals, rare and hard to find chemicals, intermediates and other allied products from India. Sweden. Chemicals and systems for environment compatible pulp bleaching processes, and chemicals for the wet section of paper making. Part of Akzo Nobel. Handles inorganic and organic chemicals, intermediates, food and feed additives, pharmaceuticals, agro-chemicals and specialty chemicals. Contains specifics about products. Manufactures sulphonic acids, textile finishing chemicals, corrosion inhibitors, oilfield chemicals, fatty acid derivatives, biocides, and amphoteric surfactants. Manufacturer of fine chemicals, and pharmaceutical and agrochemical intermediates, offering a small but diverse range of predominantly aromatic chemicals. Located in Shanghai and Lanxi, China. Provides mechanical engineering services including engineering design, product engineering, reverse engineering and engineering management. UK. Specialty chemicals for the textile, rubber, food and printing industries. Chemicals for the processing of natural and man-made fibers, and for weaving, knitting and finishing technologies. Also, deinking chemicals for recycling purposes. International chemicals group. Main activities are inorganic chemicals, fine chemicals, plastics converting, PVC and natural organic products. Supplier of products for the engineering and construction industries, such as polyols, performance chemicals and resins. Specialty chemicals for maintenance engineering, industrial, agricultural, marine, and food processing. Manufacturer of specialty chemicals headquartered in Connecticut. Products include biocides, water treatment chemicals, ingredients for personal care products, polyols, and hydrazines. Located in Houston, Texas, KMG Chemicals, Inc. manufactures, markets and distributes specialty chemicals to niche market customers in North America and globally. It produces chemicals used for wood preservation and treatment, including pentachlorophenol (penta) and creosote. The company has grown out of the Sandoz Chemicals division, which was floated on the stock market as a spin-off in the summer of 1995, and the Hoechst specialty chemicals businesses, integrated in the summer of 1997. The products and services of the six divisions: process and performance products, pigments and additives, masterbatches, surfactants, fine chemicals and cellulose ethers and polymerisates are based on specialty chemicals. Compounder of a range of engineering resins and enhanced polymers to customer specifications. Regional Specialty Chemical Distributor serving central US states with paint and coatings additives, personal care chemicals, industrial cleaning, inks, lubricants, oleo chemicals, polymers, pigments, resins, solvents, and other chemicals. If the business hours of Chemical Process Engineers in may vary on holidays like Valentine’s Day, Washington’s Birthday, St. Patrick’s Day, Easter, Easter eve and Mother’s day. We display standard opening hours and price ranges in our profile site. 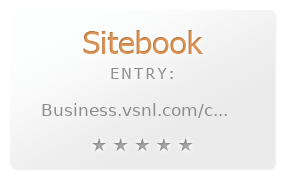 We recommend to check out business.vsnl.com/chemical/chemprocesshpage.html for further information. You can also search for Alternatives for business.vsnl.com/chemical/chemprocesshpage.html on our Review Site Sitebook.org All trademarks are the property of their respective owners. If we should delete this entry, please send us a short E-Mail.